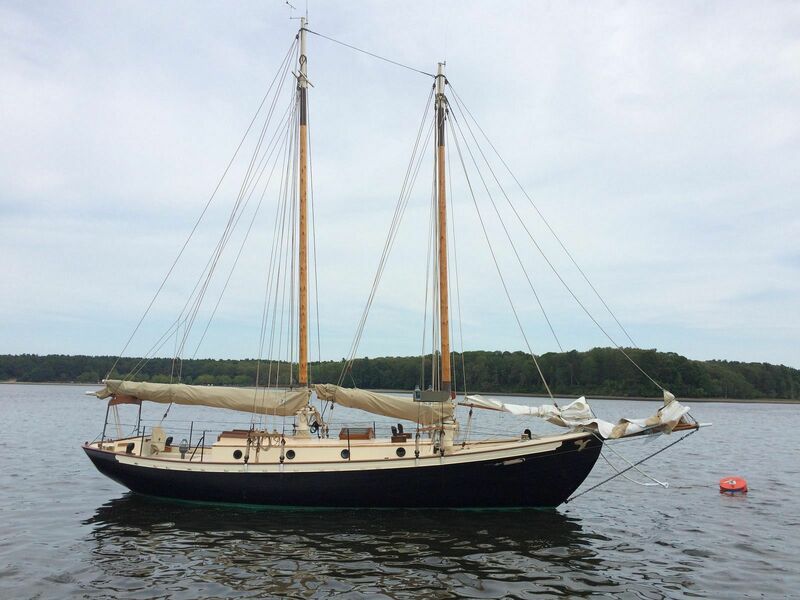 Classic Stadel Wood Schooner. Heavily built of Honduras Mahogany over white oak frames. 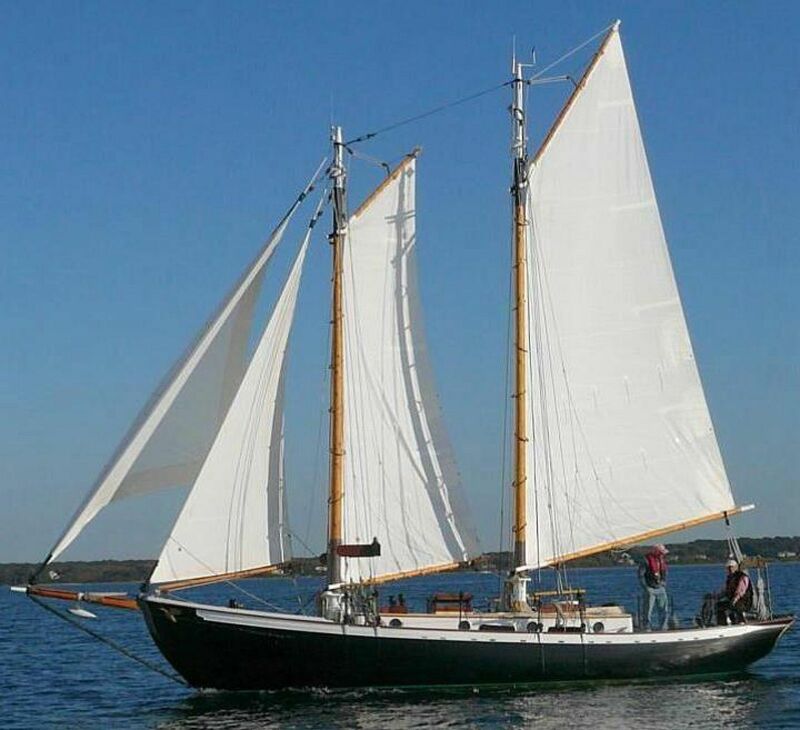 Traditional Gaff headed schooner rig with recently updated standing and running rigging. Mercedes 42 hp diesel. VHF, GPS and depth sounder. A great boat for classic evening sunset cruises, out of one of the east coast ports. There are berths for six. A V-berth forward, Pull out double and singe pilot berth in the salon and single berth port side aft. All cushion are in new condition. 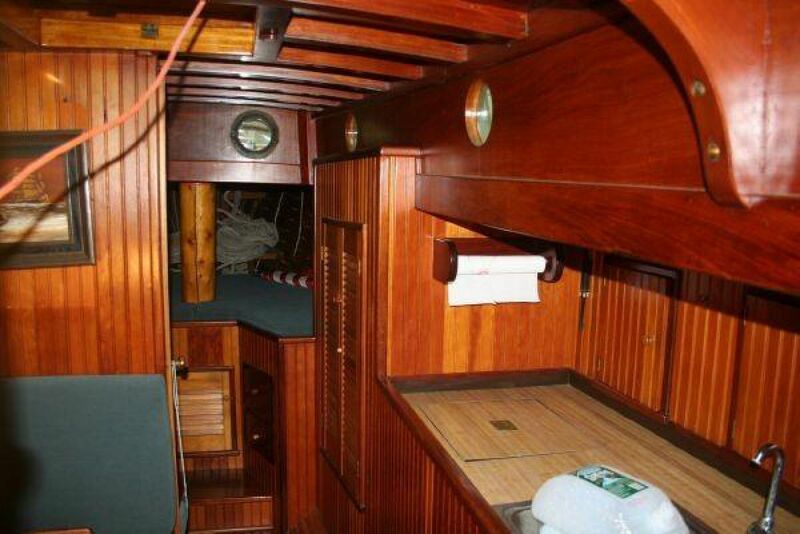 Hull is traditional mahogany planked over white oak framing. 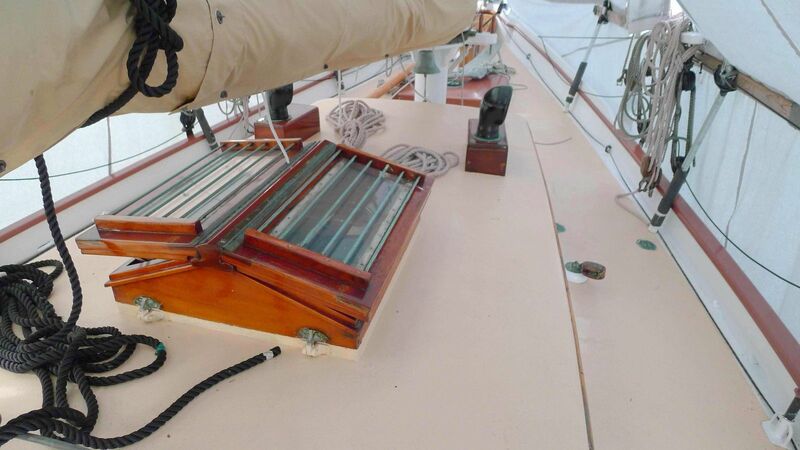 Full keel with internal ballast. Painted finish in excellent condition. Deck is planked Okume plywood with fiberglass sheathing over oak or mahogany frame. Enamel paint in good condition. Bronze stanchions with double life lines. Heavy white oak Sampson post. Bronze chocks fore and aft. 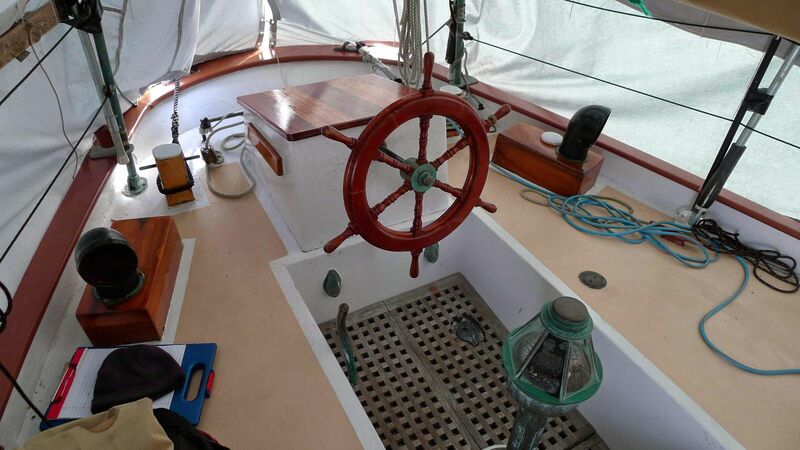 Mahogany forward hatch, Eight bronze fixed ports and two opening ports.Two dorades. Wheel steering on rack and pinion system. Traditional wood steering wheel. 45 lb. CQR primary anchor. Traditional gaff headed schooner rig.